Masergy announced immediate availability of its Managed Cloud Access Security Broker (CASB) solution for scalably managing Software as a Service (SaaS) security risks. Masergy has extended its Unified Enterprise Security Managed Detection and Response (MDR) platform to include Managed CASB. CASB has quickly become a mandatory tool for addressing security risks of enterprise data in cloud applications. Masergy has partnered with Bitglass for a comprehensive turnkey solution that includes visibility, threat detection and response, data protection, and identity and access management. 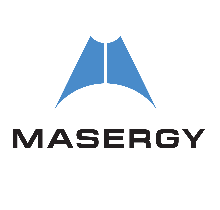 Masergy can also augment existing Netskope and Skyhigh CASB deployments with managed monitoring and response services. According to Gartner’s Magic Quadrant for Cloud Access Security Brokers (CASB), over the coming decade, cloud is expected to consume a larger portion of enterprise IT budgets, with cloud spending growing eight-fold from $100 billion to $800 billion by 2027. Security must follow the data to where it increasingly lives – cloud applications and infrastructure platforms. This trend has created an inflection point for the segment, with estimates that CASB budgets will be 7-13 percent of enterprise SaaS spend. Masergy’s Managed CASB is a simple-to-deploy, scalable solution that embraces business cloud strategies. Its integrated identity and access management improves security posture and streamlines the user experience. Because it deploys easily with reverse proxies, customers find the solution cost-effective and providing rapid time-to-value. For more information, please watch our on-demand webinar, Cloud Security Essentials: How to Tackle Cloud App Visibility and Data Security.